Customers in the Indiana and Chicago IL area looking for a lightweight travel trailer RV will find what they are looking for in the Cruiser Enterra model! 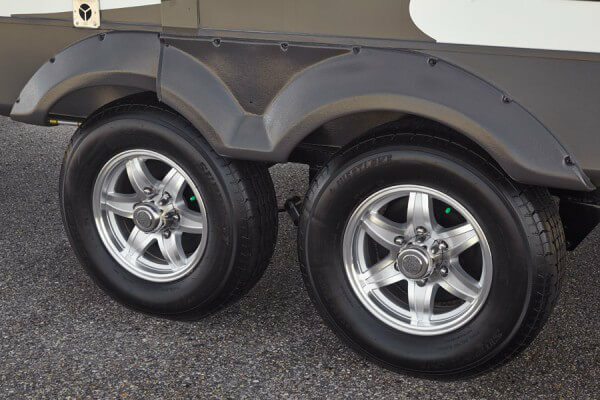 These travel trailers are a step above the competition, offering the luxury, quality and amenities usually reserved for the more heavy-duty fifth wheel brands. These recreational vehicles are lined with the highest quality fabrics with a contemporary décor and high-end appliances. Every model offers spacious floor plans and come with exquisite Painted Elm two-tone cabinetry, solid surface countertops, Ivory high-gloss exteriors and much more! The Cruiser Enterra RV models include E-29RBS, E-314RES, E-315RLS, E-316RKS, E-317RES, E-31QIB, E-31RSS, and E-32BHS. Find out more by contacting our Indiana and IL RV dealer, Phillips RV Sales, at 815-933-2251. 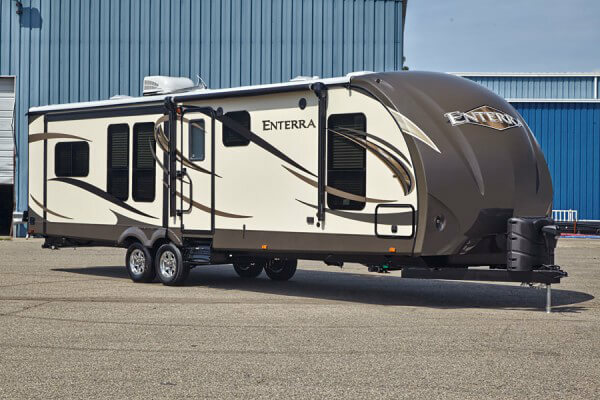 Chicago RV customers will definitely appreciate the extra amenities that the Enterra lightweight travel trailer has to offer. For instance, the gel coated, fully wrapped colored front cap and Tuff-coat scratch resistant skirt metal are both highly resistant to the questionable weather conditions that Indiana and IL go through during the year. Temporary or permanent residents of this travel trailer will enjoy the porch light, waterproof speakers, Nitrogen filled radial tires, Pass Through Storage, a Break-away switch, City water hookup, Black tank flush inlet, LED lighting package, Sharpline graphics package, and scare light on off door side near hook ups. 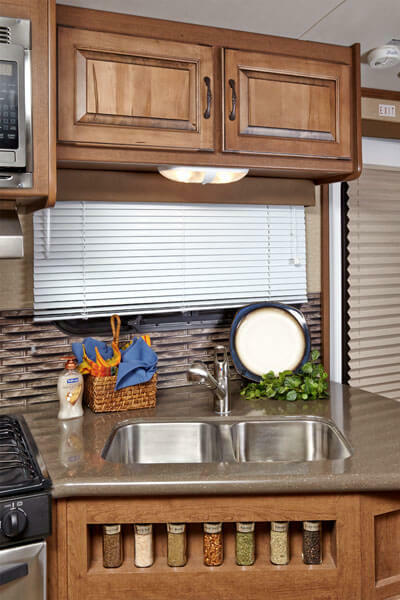 The interior of the Enterra RV model is really where customers can get excited. These travel trailers are truly luxurious and it takes a personal tour to really understand the level of quality these models have to offer. The interior has a barreled ceiling, which tall clients always make note of because it offers extra head room. In order to raise your level of comfort enjoy standard ceiling speakers, 7 or 8 cu-ft refrigerator, swivel TV box, CD/DVD stereo with Bluetooth, Cruiser Command Center panel, private bedroom, deep sink with 60/40 split, foot flush toilet, mirrored medicine cabinet, skylight above tub/shower, pull out spray kitchen faucet, free standing dinette chairs with atrium windows. Of course our Chicago RV customers have tons of options, including a bumper mounted BBQ grill, rear ladder, Dual Pane windows, LED TV, 50 Amp service and 2nd A/C prep, 15.0K BTU A/C ipo 13.5 BTU, Maxxair power vent with rain sensor, and so much more. There really isn't a way to get everything these lightweight travel trailers have to offer on one page. Visit our IL and Indiana area RV dealer to get inside one of these awesome models! These massive units sleeps up to 9 people - that's pretty impressive. Contact Phillips RV Sales by calling 815-933-2251 and schedule your test drive of a Cruiser Enterra lightweight travel trailer RV today!